Here's how it works: Grass seed, fertilizer, and hydro-mulch are mixed into a thick slurry which is evenly sprayed onto your prepared soil. 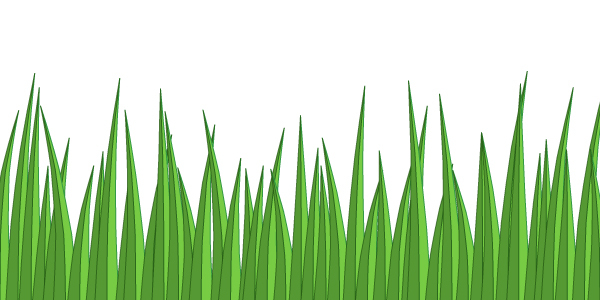 Once your lawn has been hydroseeded, the grass seed and fertilizer are protected by an attractive green layer of hydro-mulch that seals in moisture and prevents rain from eroding the soil and washing away the seeds. Also, because the seed is soaked with water in the mix much faster germination will occur. Hydroseeding allows you to have a lush, emerald green lawn in days. It is grown in place and adapts to your soil conditions. There is never a problem with it "not taking" which can be a problem with sod. Hydroseeding is a fast, cost effective way to have a new lawn that will turn your neighbors green with envy. Hydroseeding is a guaranteed method to establish new lawns. With proper care and watering, you will see growth in 5-7 days after hydroseed application. Under normal conditions, a well-established lawn in 3-4 weeks. Hydroseeding typically cost only a little more than old fashioned methods and can be up to 75% cheaper than a typical sod lawn. Hydroseeding will typically produce turf that is as nice looking as sod within a very short time and at significant cost savings. With hydroseeding, the new seedlings are grown on your soil, when using sod, sod may be subjected to transplant shock that may occur when your soil is different from the original soil the sod was grown in. Thus causing incompatibility with soil also know as "not taking". Hydroseeding is the simple procedure of applying grass seed, fertilizer, hydro-mulch and water in one liquefied application. Various soil amendments and soil stabilizers may also be used in the mixture depending on the needs of the job, such as extreme soil conditions (heavy clay or sand) or steep hills. Hydroseeding prices will vary greatly depending on job conditions. Hydroseeding jobs are commonly priced by the square footage of the area to be seeded and can range from 8 cents/sq.ft. to 25 cents/sq.ft. Minimum charge of $250 which covers up to 1000 sq.ft. Conditions such as grass type, soil additives, the size of the job and time of year are some of the factors that will affect cost. Hydroseeding can be done at a fraction of the cost of sod and give you the choice of the grass seed variety, mixture or blend that is desired.